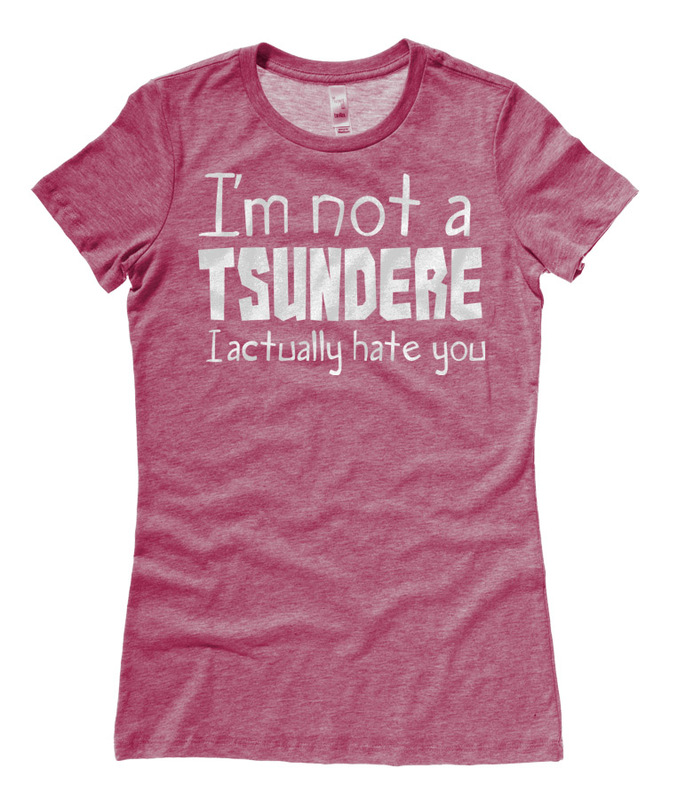 We're here to help you out with this soft ladies-fit t-shirt - all you'll need to do is point to your shirt and spout baaaka~, because, you know, you are not a tsundere. 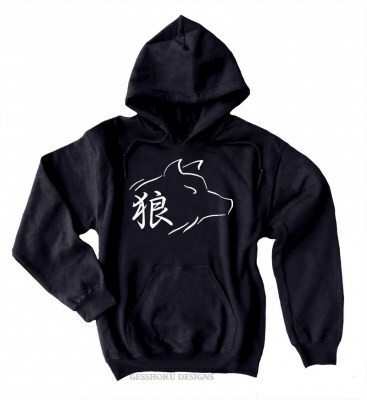 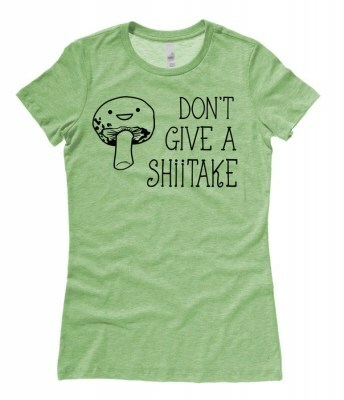 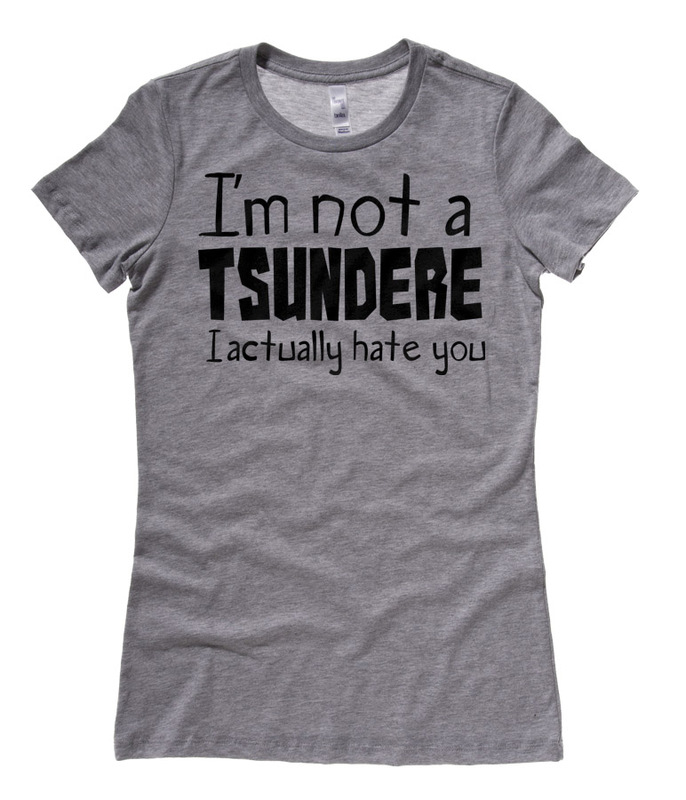 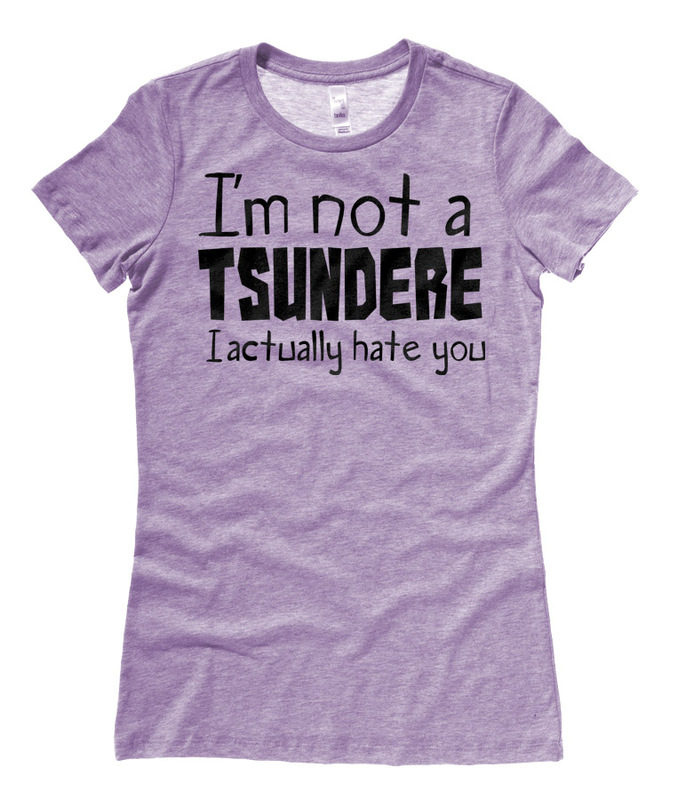 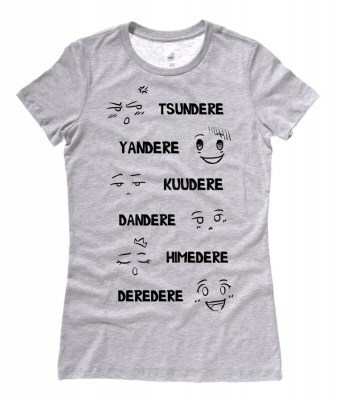 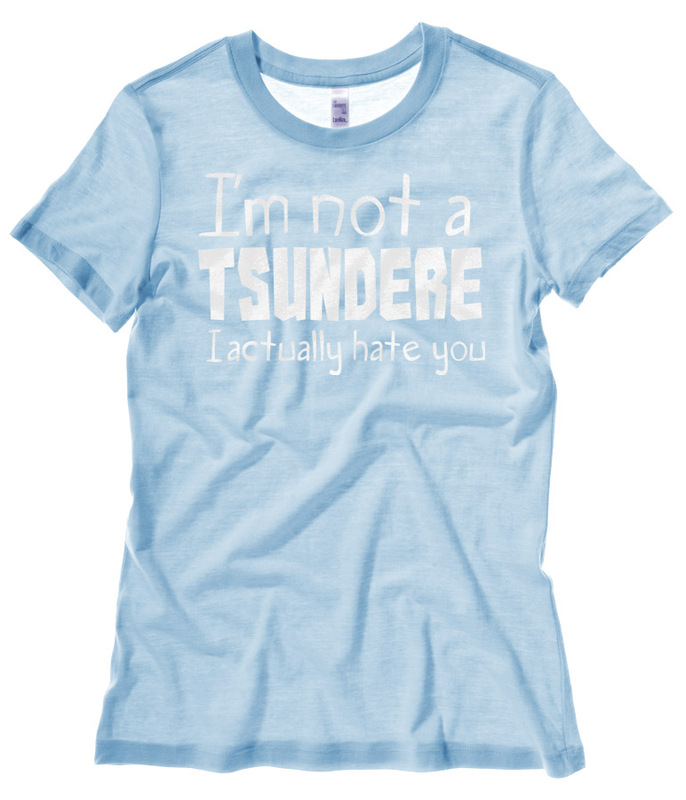 You can also find more of this design in our Tsundere collection here. 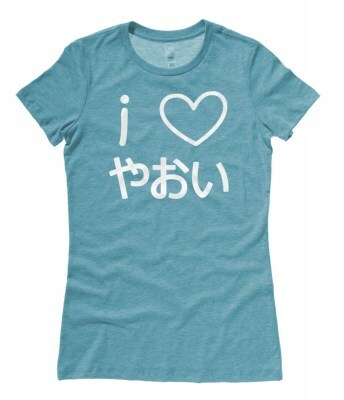 Our ladies shirts are 100% cotton and amazingly soft with a fitted silhouette and a little bit of stretch. 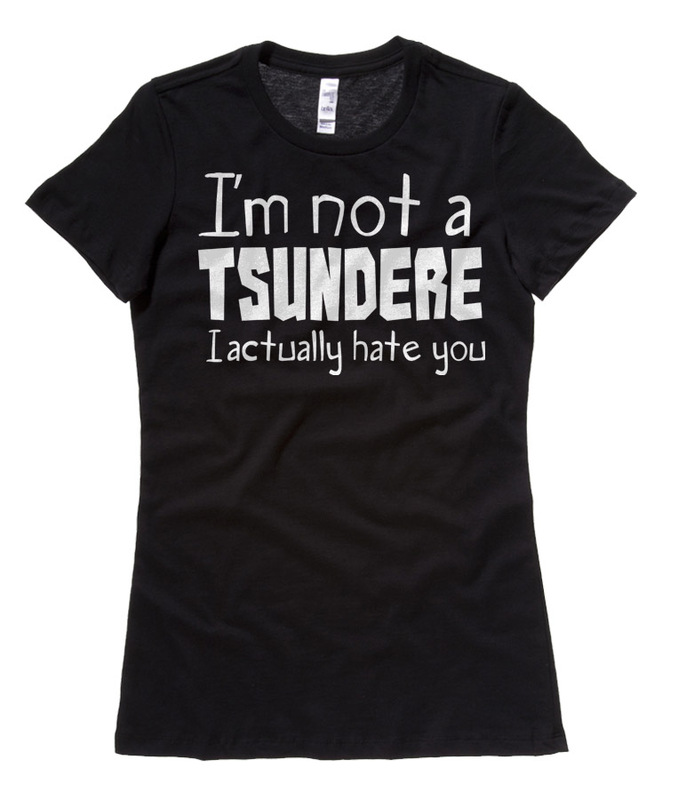 These shirts run small, so be sure to check the size chart below!